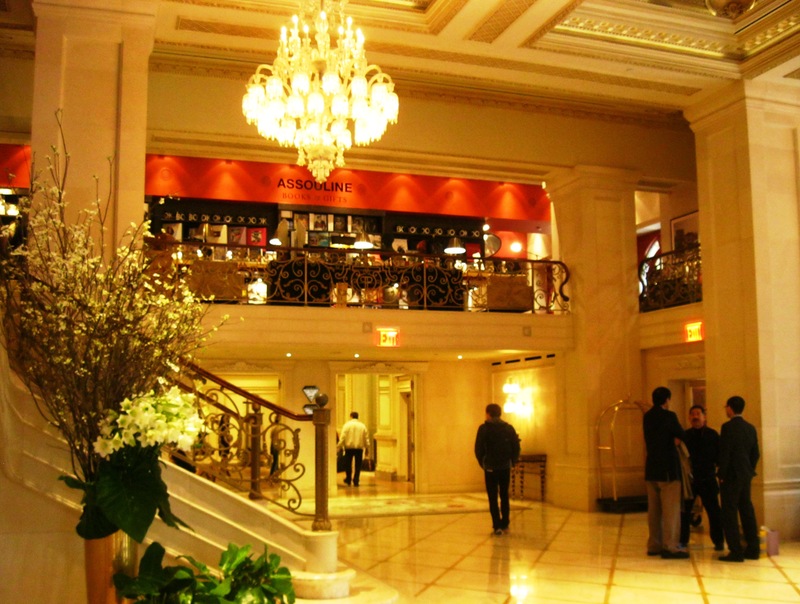 After my divine treatment at the Caudalie Spa in the Plaza, I explored the prestigious New York hotel. 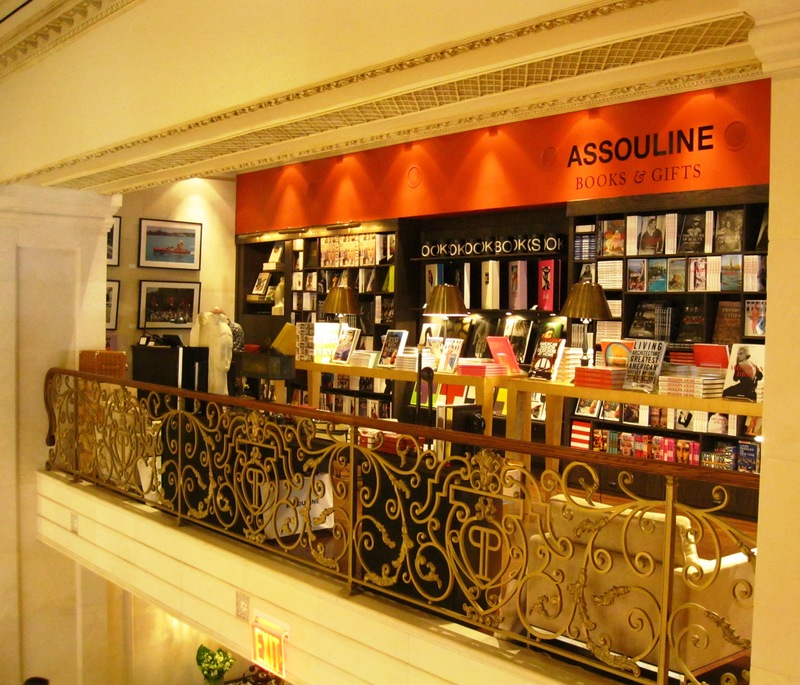 As I wandered in the marble lobby under its giant crystal chandeliers, I noticed the Assouline bookstore up in the mezzanine. 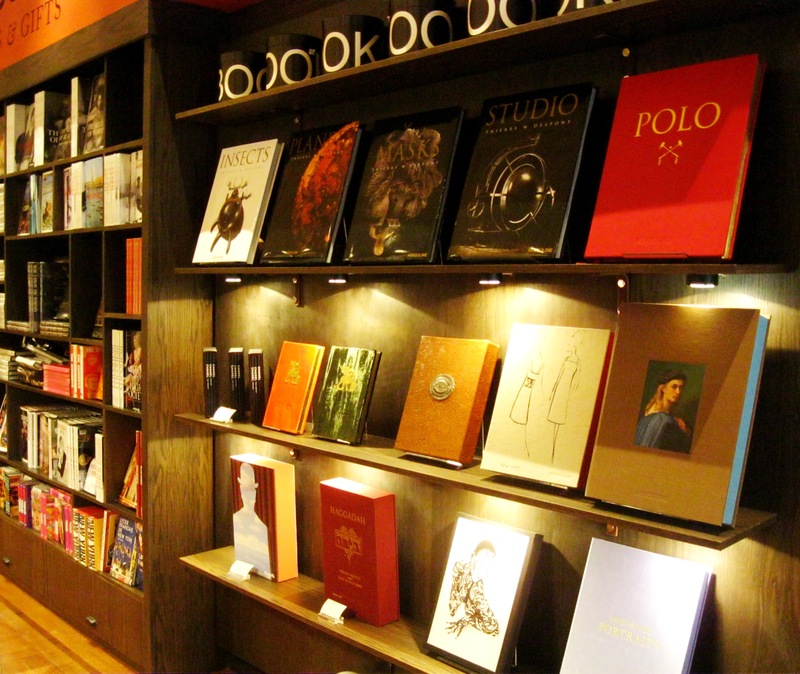 A warm and welcoming nook packed with the most refined books, it had all the ingredients to become a new favorite spot. I could spend hours contemplating these pages of splendid pictures of fashion, art and architecture! 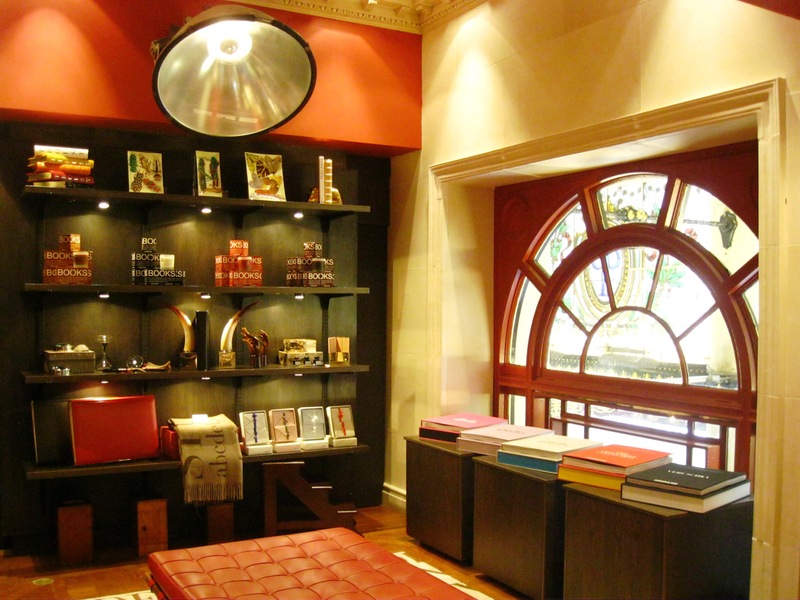 I have to confess though that I knew next to nothing about Assouline Publishing. 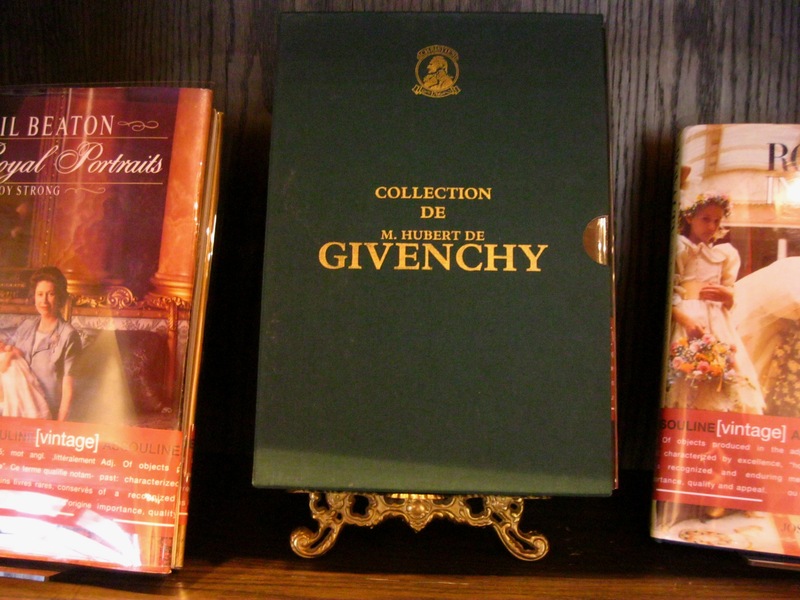 I just remembered a fashion-savvy friend raving about how refined and collection-worthy their books are. It turns out that the house is a French import just like me: the company was established in Paris by Prosper and Martine Assouline in 1994 and moved to New York in 2005. 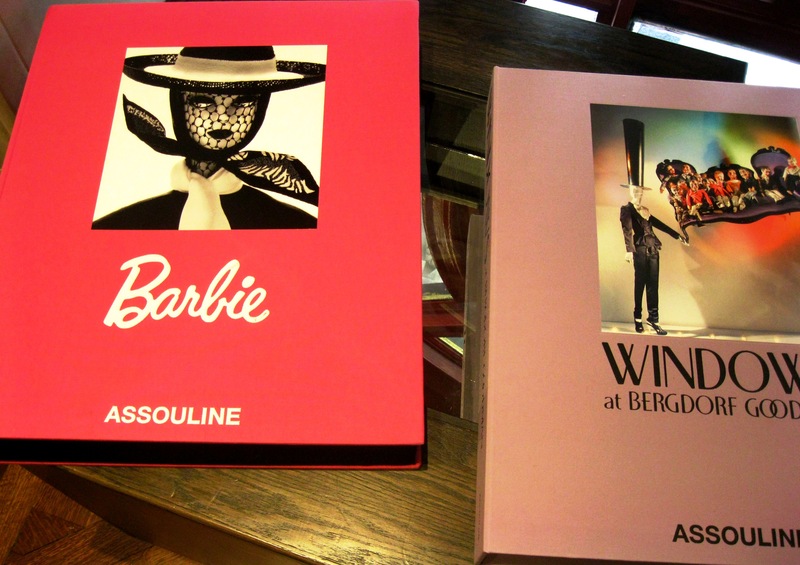 The couple created Assouline based on two beliefs. Firstly, beauty has meaning that is capable of transforming lives. Secondly, an artfully crafted book with a highly considered visual content can open your eyes and minds. I completely agree with them, don’t you? Assouline has published over a thousand titles since 1994 on the most riveting subjects: art, architecture, design, fashion, fine food, photography, traveling and lifestyle. What a list; it sounds like a blogger’s ideal publishing house, no? 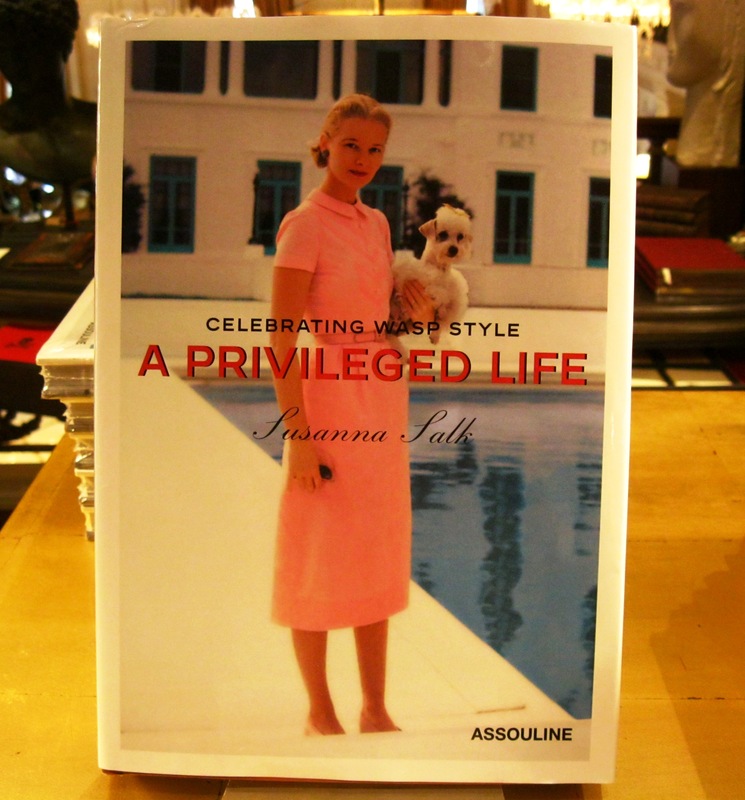 In any case, Assouline positions itself very clearly as a luxury brand. If it were a perfume, the publishing house would be a niche fragrance made of the highest quality ingredients, its renowned nose more concerned about delivering a beautiful creation than following marketing leads. The founders are no strangers to the world of fashion. Prosper Assouline held the position of artistic director for several French fashion magazines. As for his wife Martine, she worked as a PR professional for luxury brands Louis Vuitton and Rochas after a career in modeling. 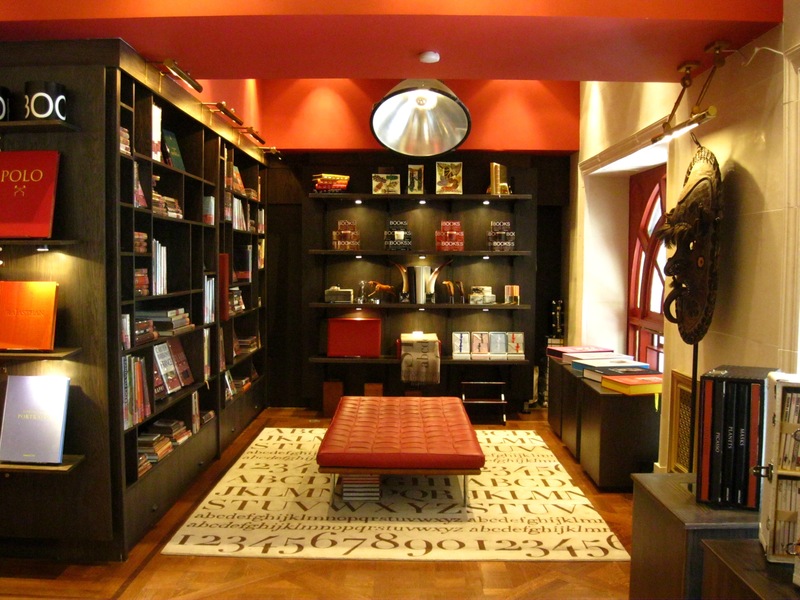 Nearly 20 years after its foundation, Assouline has become a reference in publishing and now boasts 7 stores worldwide: three in the USA, one in Saint-Germain in Paris, one in Istanbul and in Mexico and a brand new lounge at the fabulous Liberty of London. Now let’s have a look at the bookstore at the Plaza. A selection of great vintage books is displayed in the back of the store, leading us to unexpected finds. 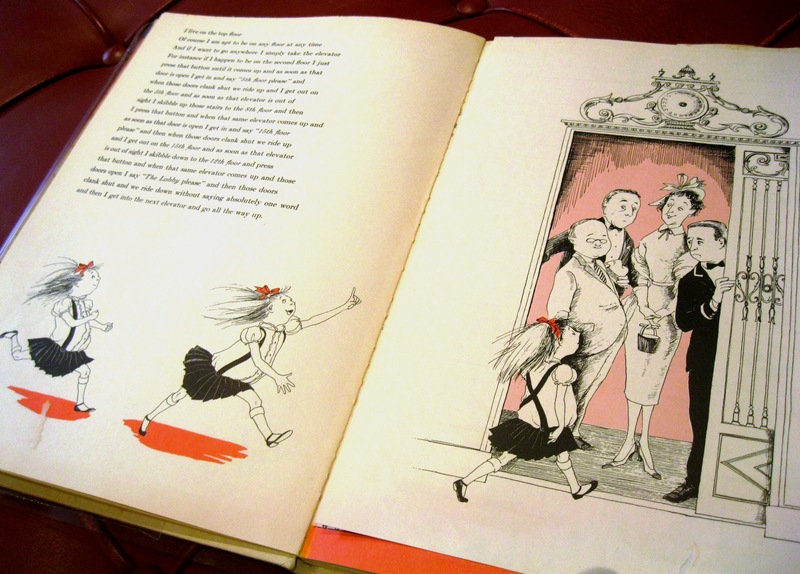 For example, one the books I cherished as a child, Eloise! 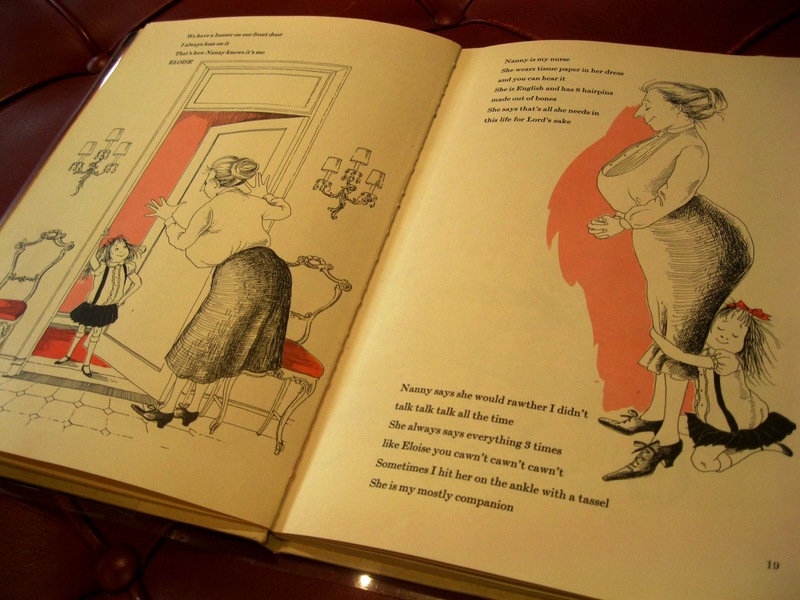 Do you know this mischievous little girl who lives at the Plaza with her nanny? Facing the shelves, giant books are displayed near the window. And that is where I fell for Barbie. Yes, you read that right: the plastic doll that rocked our childhood, Ken’s beloved wife. Doesn’t she look classy in these glossy pictures? To me, these resemble stills of Mad Men. And now, here is something many of you will covet, I am sure. 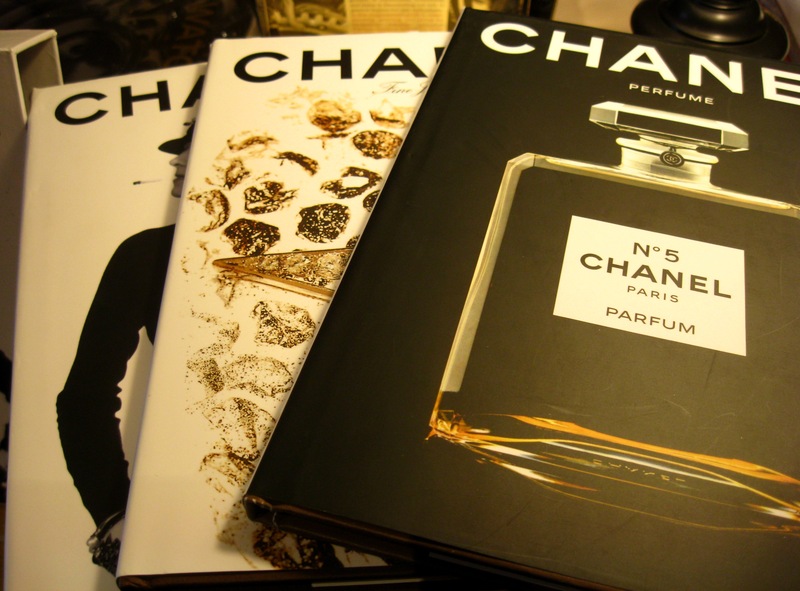 The Chanel set comes with three books on fashion, jewelry and fragrance. 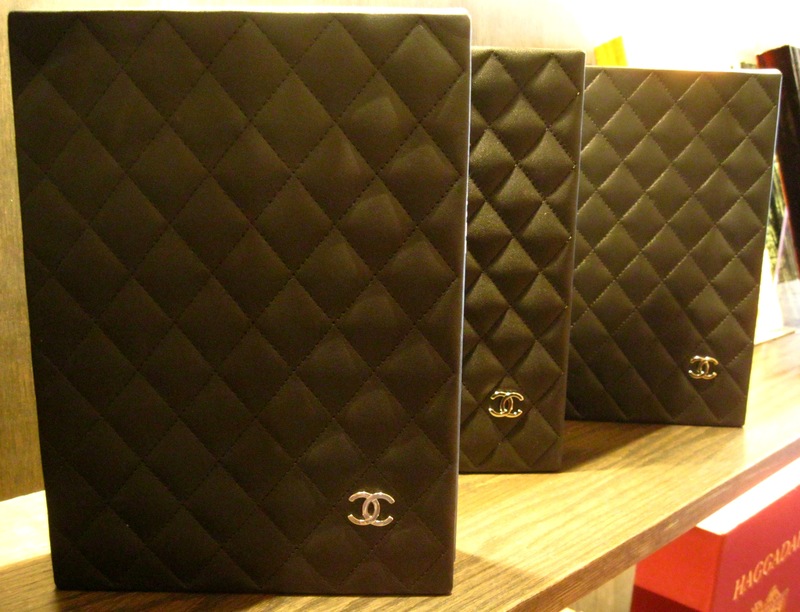 The luxury edition: the same books presented in a slipcase made of quilted black leather with a red leather interior and a metal Chanel logo. Looks familiar? It’s perfect for the 2.55 bag addicts! 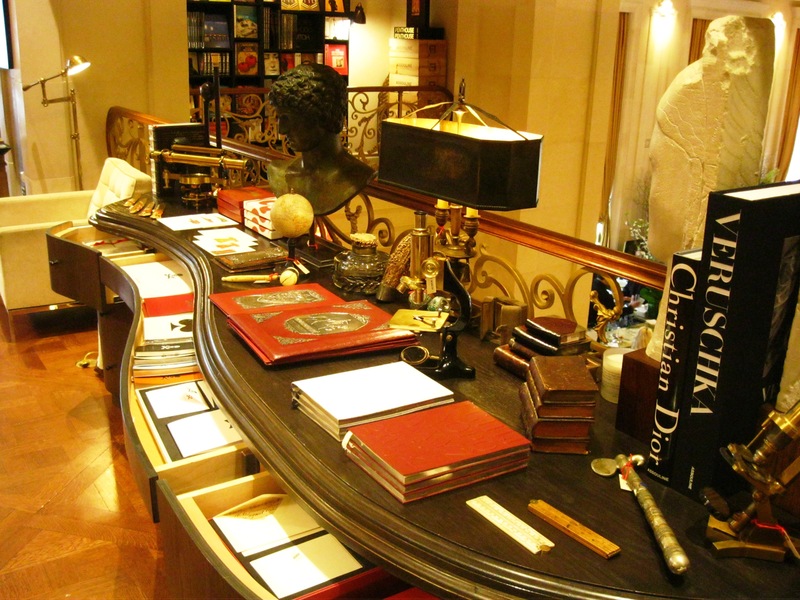 Apart from its magnificent books, Assouline offers a selection of exceptionnal objects and gifts. 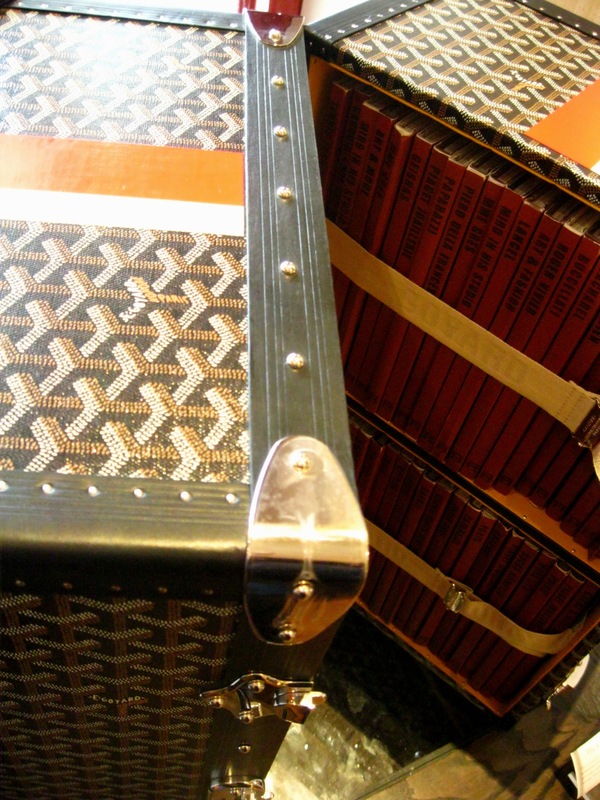 These custom-made Goyard trunks for example were created especially for the publishing house. Each one houses 100 books from the Memoire collection. The Proust questionnaire is a fun way to explore the personality of the questioned person of your choice – or yourself! 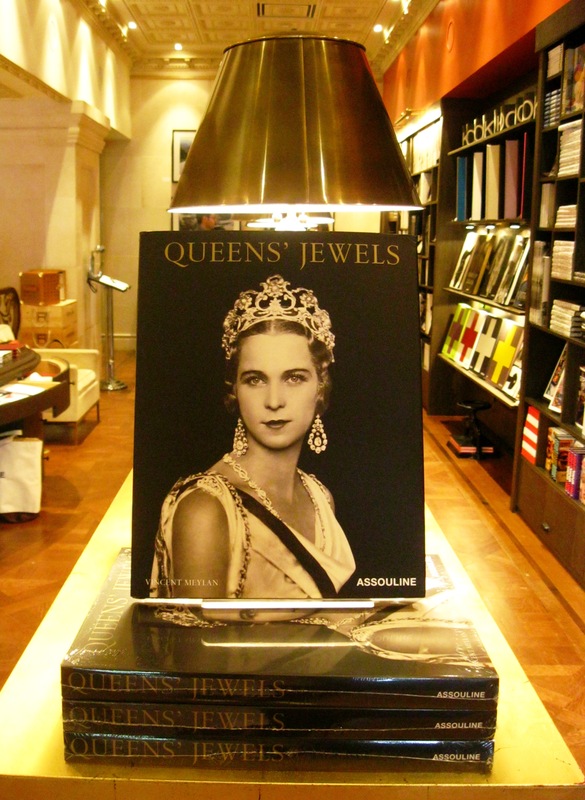 Assouline has an excellent website on which you can flip through several pages for each item. The house also currently organizes a Twitter contest through which you can win one of their books. So which one would you devour? Après mon soin divin au spa Caudalie du Plaza, j’explorais le prestigieux hôtel new-yorkais. C’est alors que parmi le marbre et le cristal de la réception j’aperçu là-haut en mezzanine la librairie Assouline. Accueillant et chaleureux, cet espace raffiné empli de beaux-livres me fit gravir les marches de l’escalier quatre à quatre pour l’atteindre. C’est le genre d’endroit où je peux passer des heures, que dis-je, des journées à feuilleter les sublimes pages de photos de mode, culture et architecture ! Je l’avoue : je ne connaissais pourtant rien des éditions Assouline. Tout juste savais-je qu’ils publient des livres de mode dont raffolent les fashionistas. 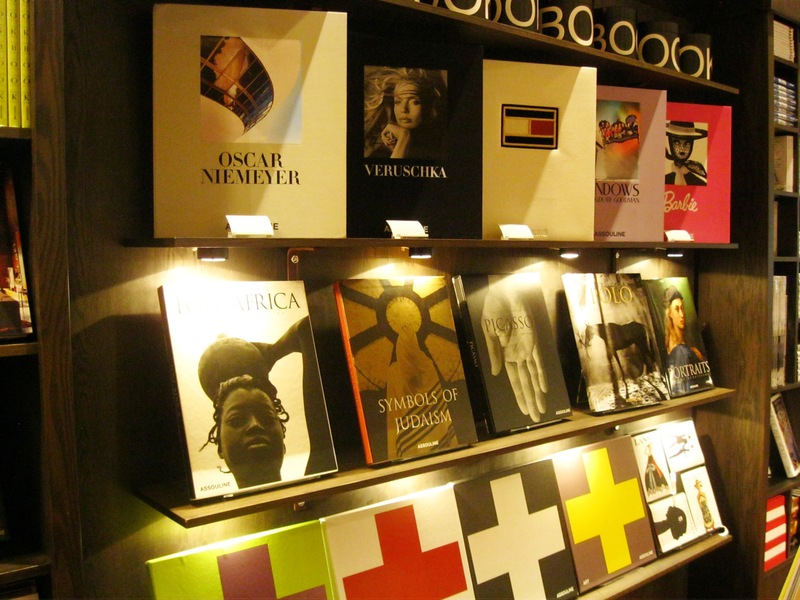 Les éditions Assouline sont en fait un import français tout comme moi : la maison a été fondée à Paris en 1994 par Prosper et Martine Assouline et a déménagé à New York en 2005. Le couple avait deux idées en tête lors de la fondation. Un, la beauté a un sens qui peut transformer la vie. Deux, un livre savamment confectionné et au contenu visuel extrêmement soigné peut ouvrir les yeux et l’esprit. Je suis entièrement d’accord. Pas vous ? Depuis 1994, Assouline a publié plus de mille titres sure les thèmes hautement passionnants que sont l’art, l’architecture, le design, la mode, la gastronomie, la photographie, les voyages et l’art de vivre. A lire cette description, on dirait la maison d’édition idéale de la bloggeuse. 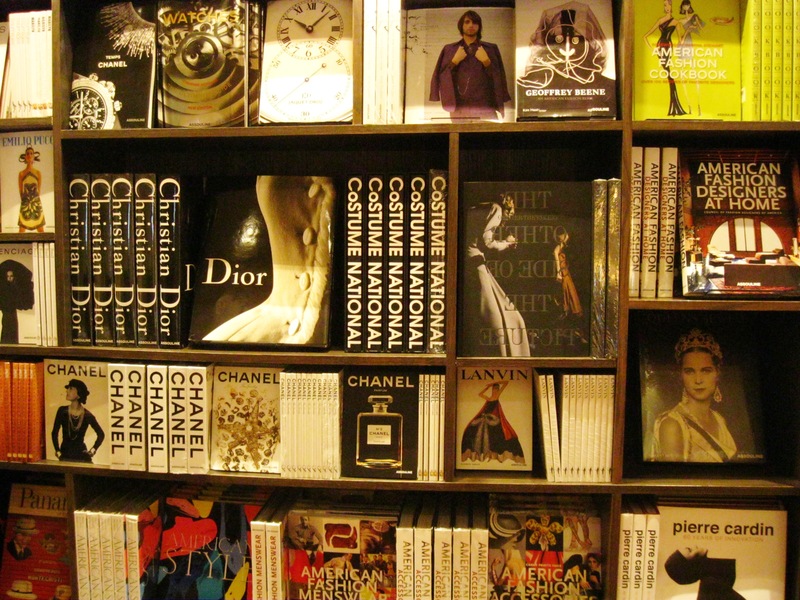 En tout cas, Assouline se positionne ouvertement comme une marque de luxe. Si elle était un parfum, ce serait un produit de niche confectionné avec les ingrédients de la plus haute qualité par un nez reconnu pour son œuvre, laissant sa créativité s’exprimer hors des sentiers marketing. Les fondateurs ne sont pas étrangers au monde de la mode. Prosper Assouline a été directeur artistique de plusieurs revues de mode françaises. Sa femme Martine a débuté une carrière de mannequin avant de travailler sur la communication des marques de luxe Rochas et Louis Vuitton. La petite affaire a bien prospéré puisqu’Assouline compte maintenant 7 boutiques dans le monde : trois aux Etats-Unis, une rue Bonaparte à Paris, deux à Istanbul et Mexico, et une toute nouvelle dans le fabuleux magasin Liberty de Londres. Mais comme je suis à New York, explorons celle du Plaza. L’arrière de la boutique comprend un rayon de beaux livres vintage, rendus encore plus intéressants par leur vécu. 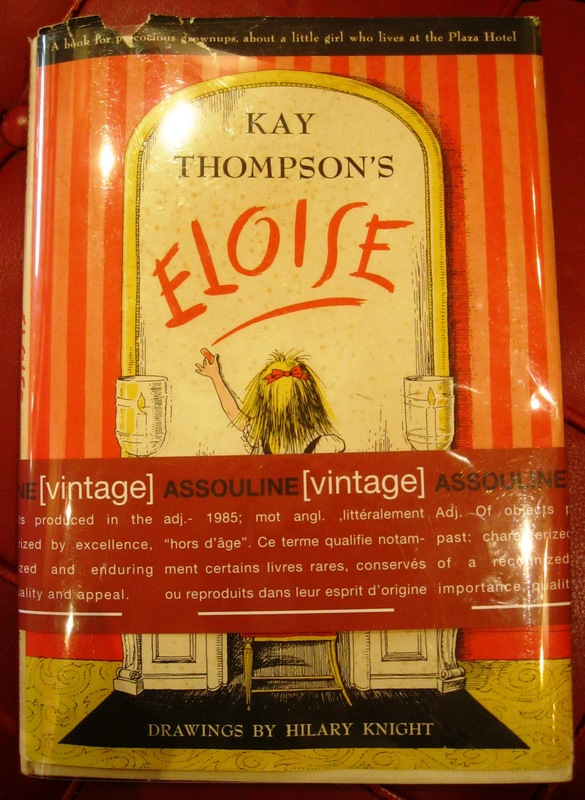 Parmi eux, j’ai retrouvé un de mes livres d’enfance, Eloise ! Vous connaissez cette gentille peste ? C’est une petite fille qui vit au Plaza avec sa nanny et y fait toutes sortes de bêtises. En face près de la fenêtre sont disposés d’énormes livres. Je vous avoue être tombée sous le charme de Barbie. Oui, vous avez bien lu : la poupée plastique, la femme de Ken. Mais n’est-elle pas classe dans ces photos de mode ? On la dirait échappée d’un épisode de Mad Men. Voila un livre qui devrait ravir un bon nombre d’entre vous. 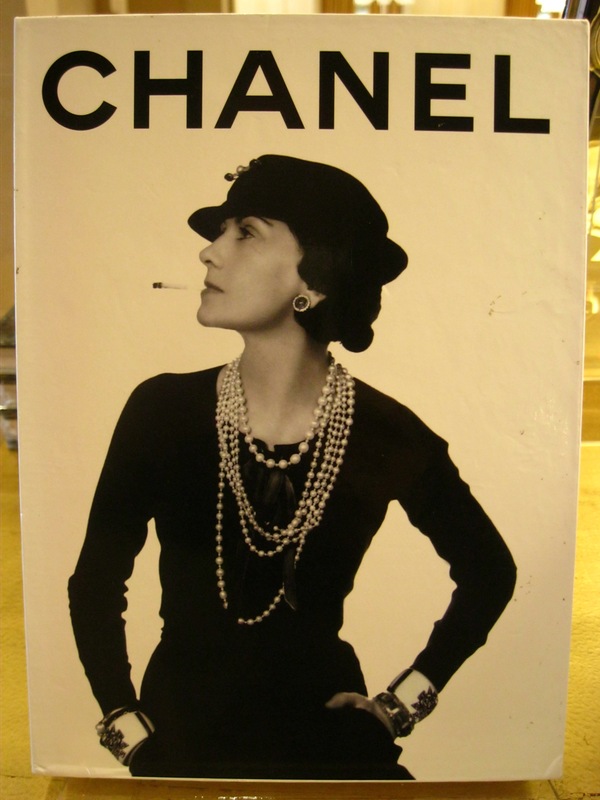 Ou plutôt devrais-je dire une collection de trois livres : le coffret Chanel avec un ouvrage sur la mode, la joaillerie et le parfum. L’édition luxe : le coffret avec les mêmes livres mais présentés dans un cuir noir matelassé, garni de cuir rouge à l’intérieur et orné du symbole Chanel en métal. Ca vous rappelle quelque chose ? Le sac 2.55 bien sûr ! 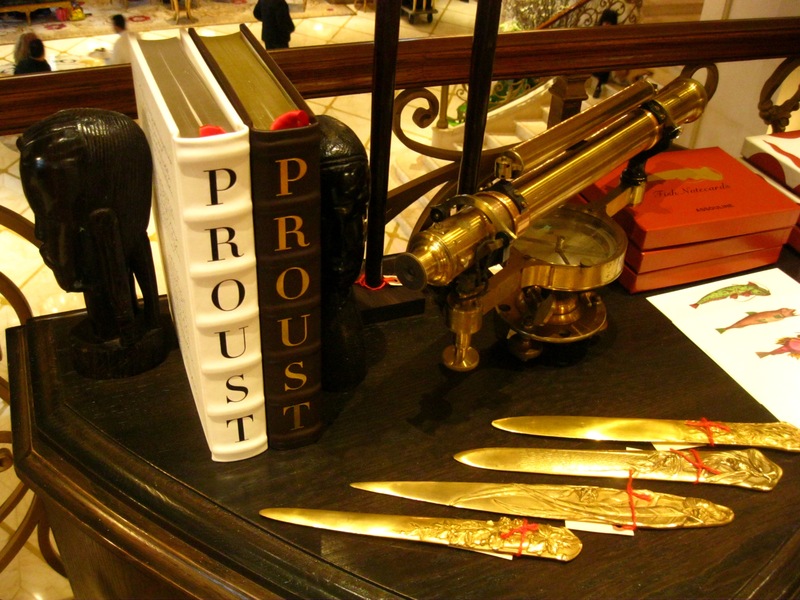 A part ses magnifiques livres, Assouline présente aussi des objets exceptionnels et des cadeaux raffinés. Ces malles Goyard créées spécialement pour l’éditeur contiennent chacune 100 livres de la collection Mémoire. Le fameux questionnaire de Proust révèle la personnalité du questionné. Il indique ici les réponses de l’auteur et laisse des pages vierges afin que vous meniez vous-même l’enquête. Quel livre vous dévoriez parmi tous ceux-là ? Assouline a un très bon site marchand sur lequel vous pouvez feuilleter quelques pages de chaque ouvrage. L’éditeur organise actuellement un concours sur Twitter vous permettant de gagner des livres. Alors, bonne lecture ! Oh… You would have loved the book shop I went to in Portugal!!! Would you care to say more about it? Hello, Anne! Thank you for this lovely post! 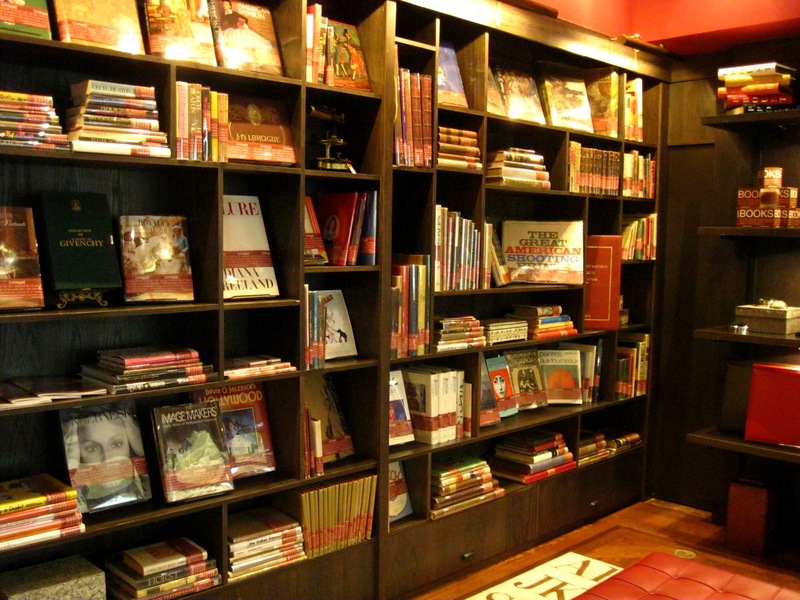 I´m a passionate for special and refined bookstores, since my early chilhood. 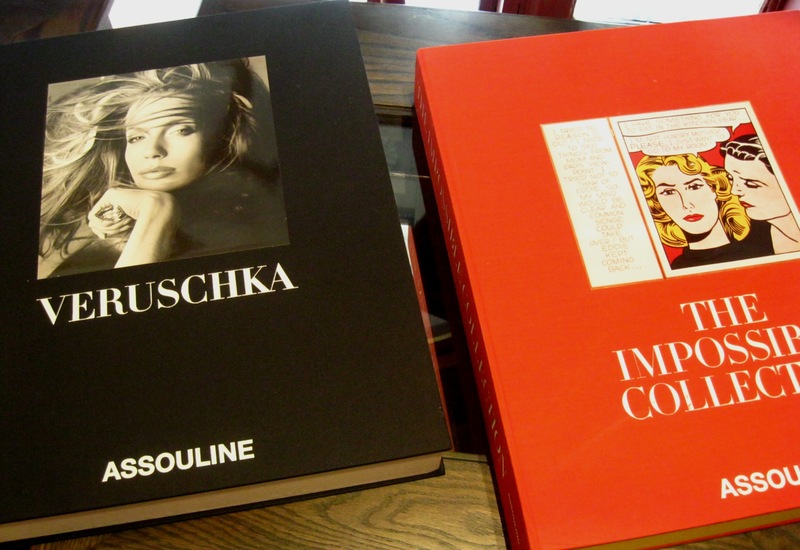 I also could spend several hours inside these places… The Assouline Publishing´s books are wonderful examples of amazing and well conceived graphic material that synthesizes and express beauty, knowledge and fine art. Highly recommended! Thanks Flavio! Do you have any favorites among their books? Oh, sure. Look at this little book recommendation list below… I believe these titles are more recent and available to buy online. But there are other very good ones that are hard to find! I believe we have similar tastes ;-) Now that I have a job and am fairly settled, I feel the need to build a collection with such beauties! Proof positive that all good things come from France! 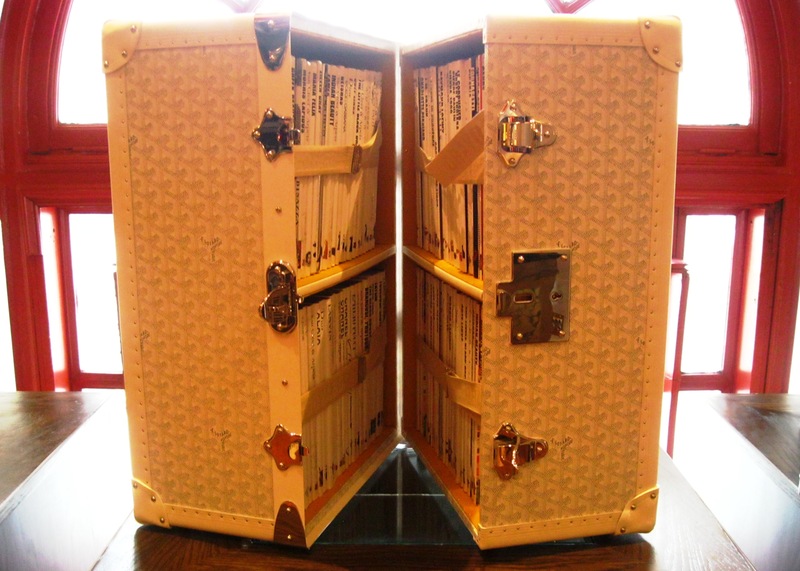 I would love to get my hands on one of those Goyard trunks….but I suspect that a book would be much more attainable;) Perhaps I’ll start with Barbie and build from there?! I dream of having the sort of apartment where my coffee table is littered with these gorgeous books. I buy the magazine Purple Diary and this is my coffee table staple right now! 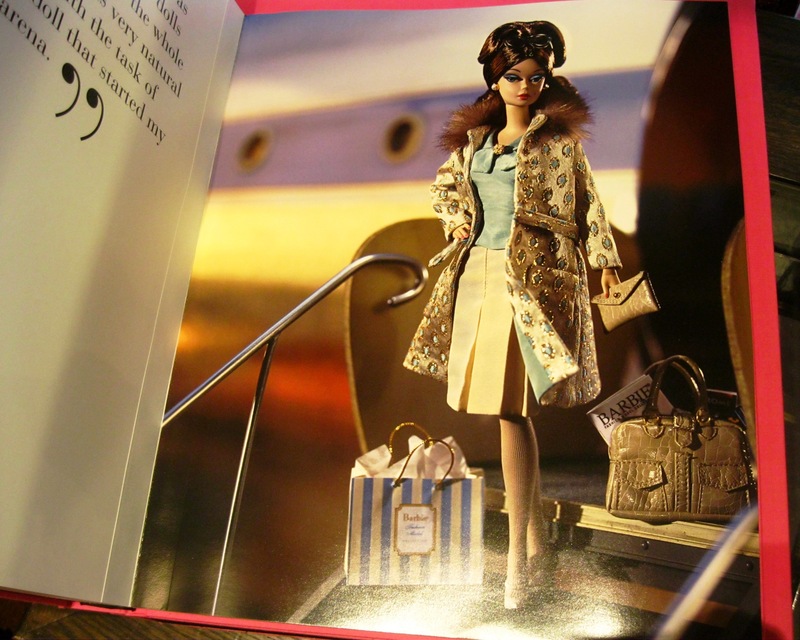 I agree with your comment about the Barbie book looking just like Mad Men stills – did you know that Janie Bryant, Mad Mad Costume Designer, made dresses for her Barbie dolls as a young girl, which served as inspiration for her in the series? So funny :-) Did you buy the book? I’d be so interested to see it. 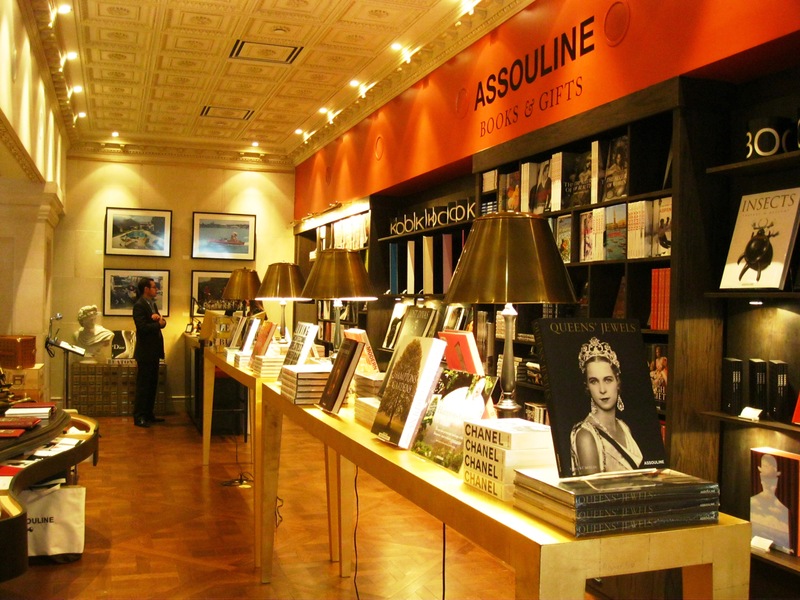 I haven’t explored Assouline in depth, and you make me want to go back…. What a sweet anecdote about Janie Bryant! I had no idea Barbie was her inspiration but now it truly makes sense. I didn’t buy it (it’s worth over $550, a little too much for me…) but speaking of books my parents gave me the one on Alexander McQueen from the Met exhibit. I’m tempted to get the one on Van Cleef as well but at this rate my luggage when going back to France well be very heavy! What a beautiful book store! The founding principles of the brand really resonate with me. I have always believed in the power of beauty and art, but this is the first time that I really connected with an articulation of that sentiment. 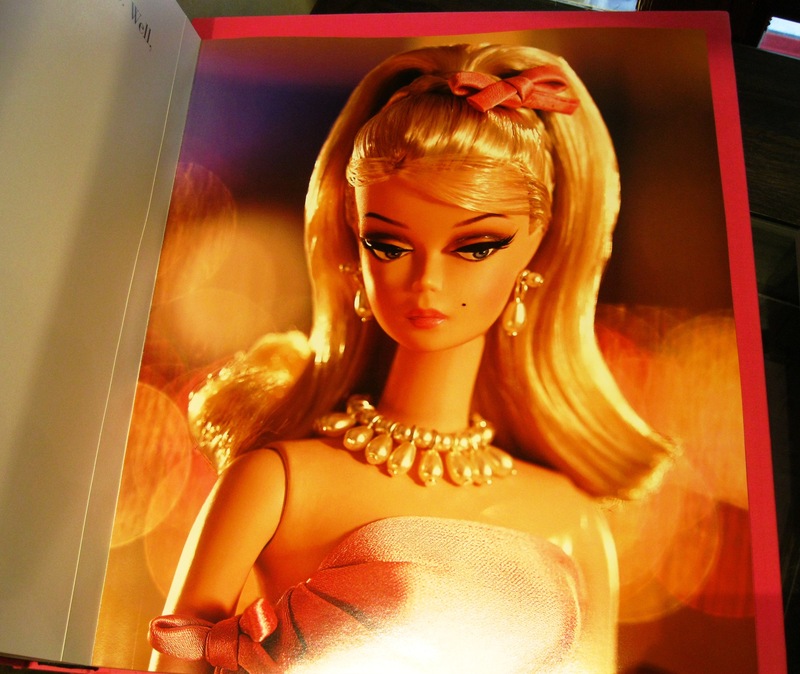 And that Barbie book looks like so much fun!